i was sent a link to this work by kim over at a blackbird's epiphany. at first i didn't know how i felt about it - in a way it looks like storybook illustration. 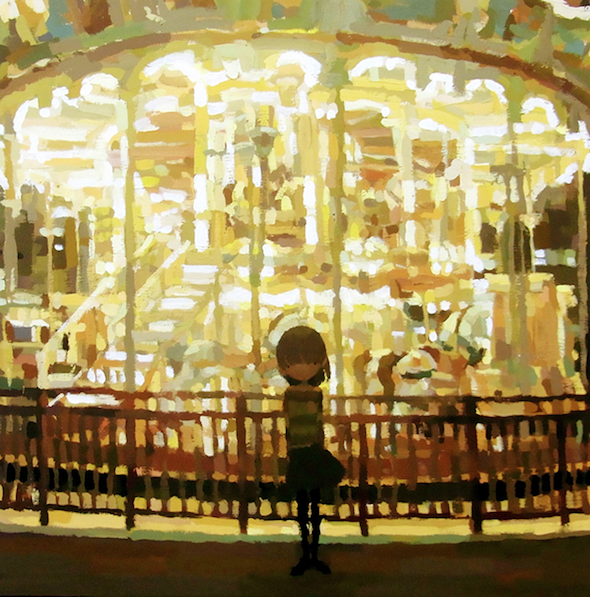 but as i perused the images of shintaro ohata, i suddenly realized that the majority of them were actually a combination of paintings + sculpture. and then i fell in love. i'm sending you here to look at the works yourself. i love the idea that making the pieces three dimensional with sculpture is what makes it in interactive experience for the viewer. depending on where you stand, we would each have a different perspective. 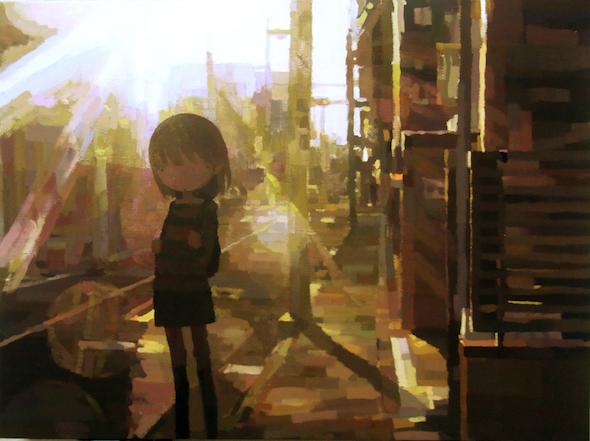 and ohata's amazing ability to capture light using bold brushtrokes is exceptional. 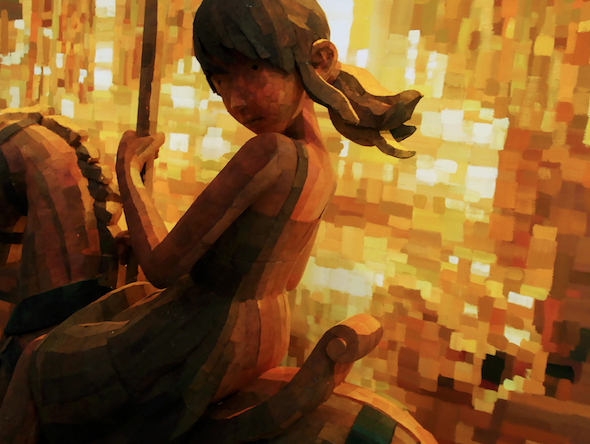 i'm also drawn to the images because of their subject matter. 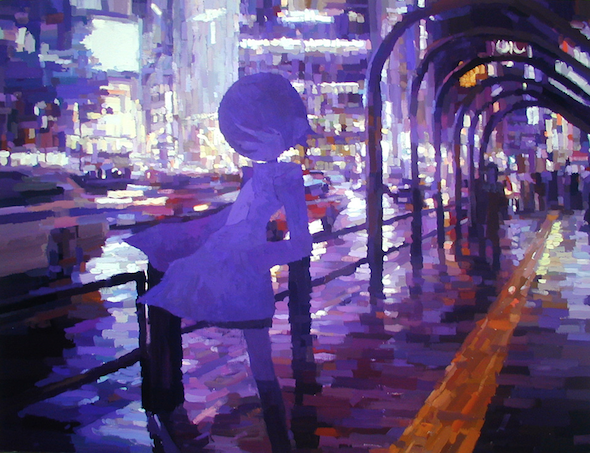 the way each character is paused momentarily against the busy backdrop of a city somehow puts my heart at ease.